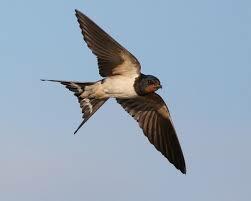 The Swallow is a bird so familiar that we stop looking at it, and if we do that we cease to see its beauty. It is a brilliantly-coloured bird – a deep red chin, dark blue/black glossy backs – and long streamers leading from its tail. If it stays still long enough, you can admire the iridescence of its feathers. But this is a Swallow we are talking about and, in our valley, they are the most joyful birds in summer, swooping over the swimming pool to catch a drink. They absolutely love flying, they fly around the terrace, performing aerial manoeuvres fit for an air display, and all the time they are chirruping and twittering away. One of my favourite birds, and here in Andalucia they are resident all year. 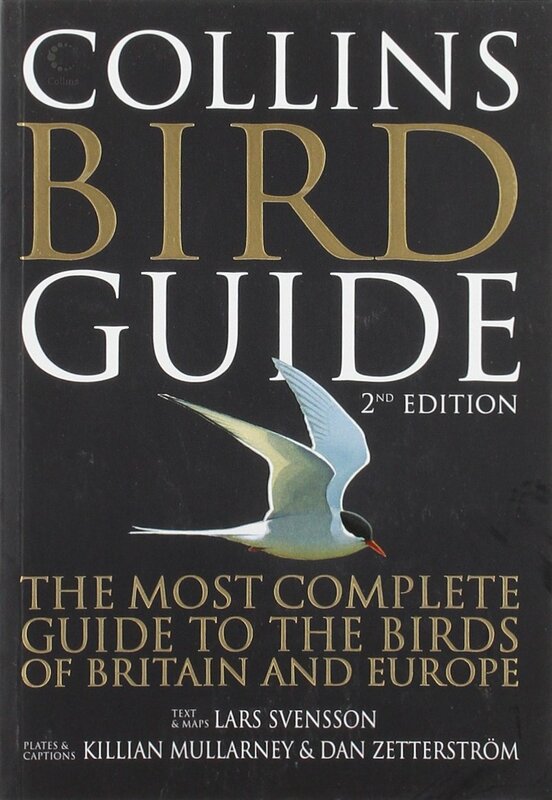 Listen to the song of the Swallow and read more about it at the RSPB website. This entry was posted in Nature and tagged Andalucia, birds, nature, Sandra Danby, Spain, travel on September 25, 2016 by sandradan1. This bird is beautiful. 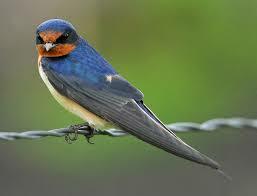 In California, we have gray cliff swallows, not as pretty a color, but an elegant profile. They build mud nests under eaves.